Electrical boxes mounted in IP55 plastic boxes. 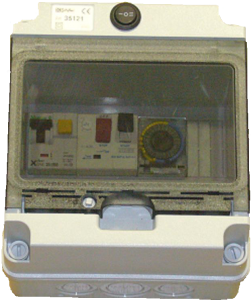 They have a contactor in three phase boxes. They have a 3-position selector MAN -0- AUT. 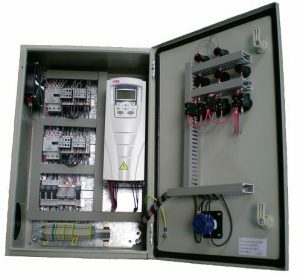 All complemented with a pump protection with thermal magneto circuit breaker. And a large number of accessories that complement the electrical panels, creating great satisfaction for our customers. Metallic wardrobe painted in red color RAL 3000. Easy to understand polycarbonate front panel. Tables built according to NORMAS 23-500-90, UNE 23.500.90.2012 ANNEX C, UNE 23.500.2012, UNE EN_12845 SPRINKLERS, CEPREVEN RT2 ABA incorporate all the signaling alarms and technical characteristics reflected in the standard. ABB’s variable speed drives are a world reference for being synonymous with reliability, simplicity, flexibility and ingenuity throughout the life cycle. 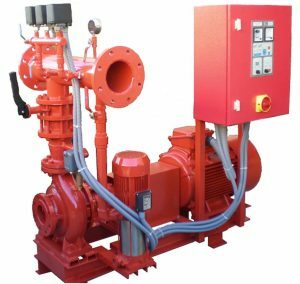 They are ideal for general purpose industrial automation applications, such as pumps, fans and in constant torque applications such as conveyor belts.